More and more scandals related to Obama and his administration has been revealed to the public! Latest in the chain of scandals was the revelation that former FBI Director James Comey held a secret Oval Office meeting with President Barack Obama just two weeks before Trump’s inauguration and may have deliberately misled Congress about it, according to an email sent by National Security Advisor Susan Rice that GOP Sens. Chuck Grassley and Lindsey Graham partially unclassified. 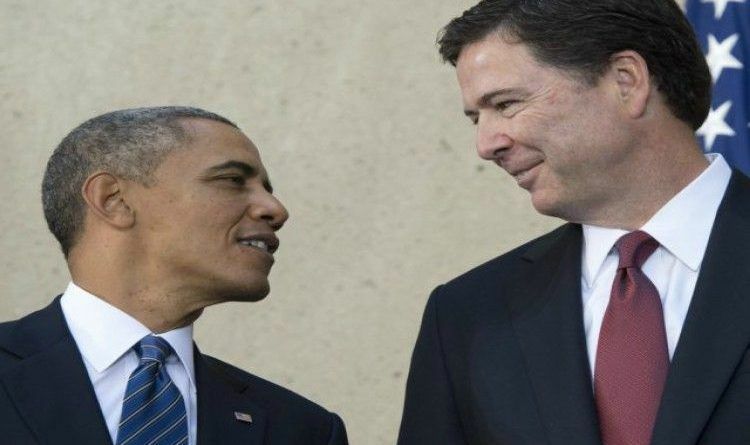 And now, according to a Feb. 26 letter that the bureau sent to The Daily Caller News Foundation, the FBI refuses to release the documents about secret meetings between FBI Director James Comey and former President Barack Obama. On Feb. 16, 2018, theDCNF requested records of all meetings between Comey and Obama and sought an “expedited process” as provided under the act when issues are of great interest to the media and the records address issues pertaining to government integrity. “The issue of Director Comey’s meetings with President Obama is a key troubling issue for Senate Judiciary Chairman Chuck Grassley,” TheDCNF wrote in its application for the expedited processing. However, David Hardy, the section chief for the bureau’s Record/Information Dissemination Section, told TheDCNF failed to meet its standards for expedited processing as provided under 28 CFR 16.5 (e)(1)(iv). It is absolutely wrong that FBI can make this choice for the American people! Who is it that has THIS authority over the people? What happened to FBI’s TRANSPARENT Administration? This is one more piece of evidence that the FBI is no longer trustworthy. Its pretty obvious to everybody that the FBI is in full deep state cover-up, obfuscate, delay, misdirect, disinform, lie, cheat, steal mode. We the public are extremely interested and we have a right to ALL information that is NOT classified as National Security.